Our belief is that children are capable beings, and we need to nurture and guide them in developing their knowledge and skills. Thus our curriculum and program is designed around the interests of the children attending our centre and their developmental needs. By designing our curriculum and program around the children’s interests and needs we are able to encourage more learning and interest through play-based learning. Our educators are continuously reviewing and reflecting upon their program, as well as what your child requires to further develop them holistically. Children learn best when they are allowed to play freely and learn at their own pace, optimising their ability to learn and retain the new knowledge and skills they have gained. Play-based learning is where children have opportunities to do various activities and play games. These activities are specifically chosen according to the children’s interests and their developmental requirements, and will help them gain various skills and knowledge through their play. Even though children are given the freedom to choose the activity or game they wish to be a part of, they still have rules and routines to follow. Such as meal times, nap times and how to play a game or activity. During these ‘play’ experiences the teachers are engaging in play with the children. This ‘play’ time gives the teacher the opportunity to extend their knowledge of the children and improve the skills of those children they are interacting with. Long periods of uninterrupted play help build children’s concentration and inner motivation to take responsibility for their own learning. Our educators plan a diverse range of activities and experiences that focus on the physical, emotional, social, sensory and cognitive developmental areas of each child. These activities and experiences can both be structured and spontaneous, and are run indoors and outdoors, allowing the children to experience them in different environments. Routines may vary according to the age group. Once a day – 12pm. If your child does not require a nap anymore, they will be allowed to do an activity quietly. Group (meeting) times are a time where the whole age group will get together and read books, sing songs and discuss projects. These times may vary for each age group, and will need to be checked with each room leader. When your child starts at our centre, a portfolio will be created for them. This portfolio will contain their routine and other important information about your child and family, as well as a developmental checklist. These portfolios are a way for us to show families their child’s journey through play, and how they have developed during their time as part of our centre’s family. They will include observations and records of their experiences as they grow and develop. All our families are able to access their child’s individual portfolio whenever it suits them, as all our centres have Storypark. 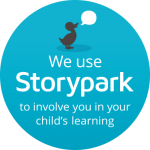 Storypark allows us to keep parents up-to-date with their child’s learning, as well as allowing parents the opportunity to create their own learning stories about their child, and their teachers to communicate to parents about their child’s development. If you would like to read more about Storypark, please click on this link: Storypark. It is a requirement for all children to attend a Kindergarten Program for a minimum of 15 hours per week the year before school. For this reason, all our centres have a Qualified Early Childhood Teacher who is able to deliver our Kindergarten Program. In our Kinder programs we aim to ensure your child is ready for school while implementing the Early Years Framework within the National Curriculum. Being school ready means your child has the necessary skills that will aid them in their first year of school. Social skills such as being able to share, communicate and play with their peers. Communicative skills, such as expressing their emotions and the ability to tell educators what they require. Self-help skills, such as going to the toilet by themselves, washing their hands, putting on and taking off their shoes and clothes. Basic concepts such as positioning of objects, sorting and beginning to compare objects, and time (day and night). Fine and gross motor skills, such as pencil grip, cutting with scissors, running and climbing. During the middle of the year (usually July or August) we hold parent-teacher conferences for all our Kinder children. This is a time where our Early Childhood Teacher can meet with the parents and discuss the progress of their child, and for parents to discuss any concerns about their child with the Early Childhood Teacher. If any of our parents have concerns before or after this meeting time, then we will arrange a time for you to meet with the Teacher. Near the end of the year, our Early Childhood Teacher will prepare a Transition Statement, which contains all the important information the school requires. 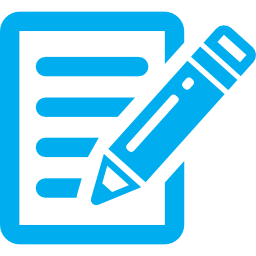 The Transition Statement contains two parts, one for the teacher to fill in and one part for families to fill in. A more relaxed environment, where your child has more time to experience all the activities they wish too.